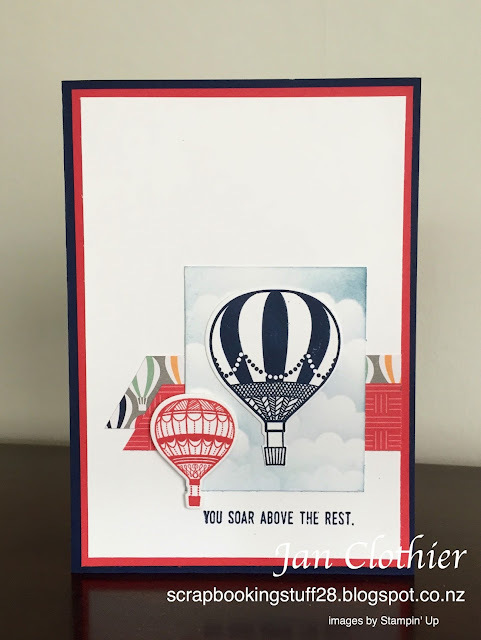 I was so pleased to see Can You Case It Challenge come back after a hiatus and especially that there was a longer challenge over the holidays which gave me a chance to play around with this really lovely sketch. 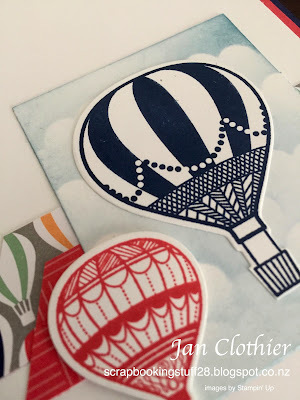 I've taken the opportunity to have another play around with a new set from the about-to-be-released Occasions catalogue, Lift Me Up and matching dies. The DSP is a Sale-a-bration item. I kept the embellishments to a minimum because the balloon paper is quite busy but it gives the stamped balloons something to stand out from, or "soar above". Despite there being cloud stamps with the set, I sponged a cloud background for the blue balloon and I wanted it to look like a window. Other than that, I decided to keep the lines clean and crisp so did not do any other background stamping. 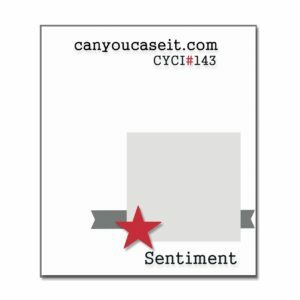 Update: Delighted to be a Top Pick at Can You Case It. 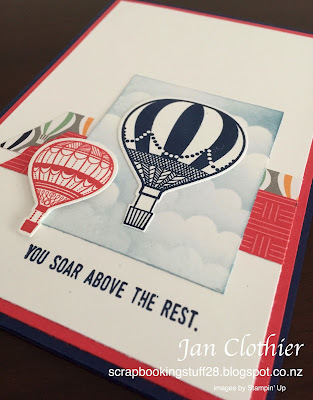 Jan I am SO happy to see you played along with us again over at Can You Case It! 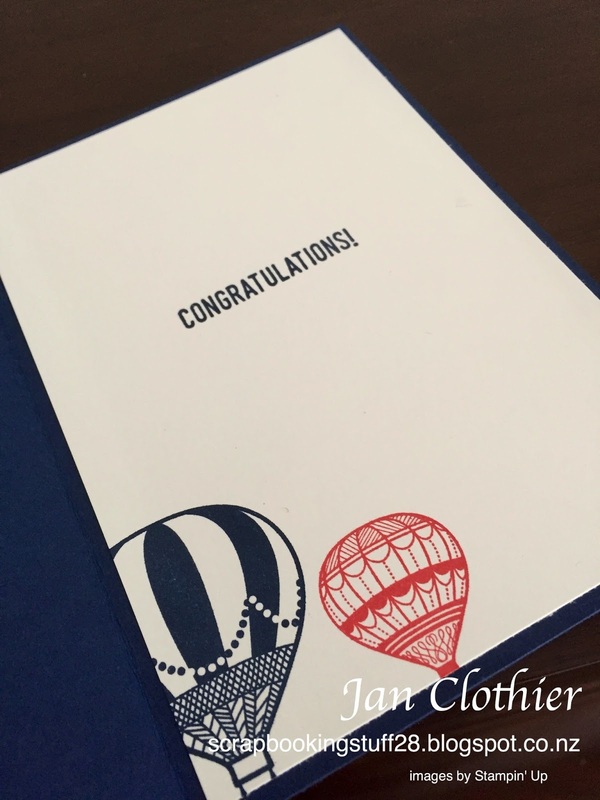 Love the clean and simple masculine design - those balloons from the new Occasions catty are awesome!